Can a Dog Sitting Service Provider Offer you Puppy Training? One of the most common questions I get asked in my line of work as a dog sitter is what age should people start training their puppies at. My answer is, as always, immediately. The sooner you start puppy training, the better. Although I am a dog grooming specialist myself, I know a lot about puppy training, so I have prepared a list of a few tips and tricks on how to train and maintain an obedient dog from the start. Dogs are hard-wired to follow a pack leader. A pack leader is a consistent, stable, and strong individual. This is why, when you get a new dog, your first mission will be to become the pack leader for your puppy. This may sound easy, but I assure you it is not. Many dog owners are strong leaders in their jobs, but when it comes to their beloved puppies, they turn to mush. Puppies can sense our confidence levels and will quickly take control if they sense us as weak. You don’t need to be a dog sitting service specialist to know how to train a dog. Reading a few articles or books about pets can always help you get started. You must always find ways to help your puppy spend its energy in a productive way. The easiest and most efficient method is to take it out on daily walks. However, there are a few rules you should follow when walking your dog. First of all, as a pack leader, you must be the first one out the door and the first one in. When walking, your dog must always walk behind or beside you. Don’t let the dog control the daily walk. It depends on whether you train your dog to be a good home guard or you simply need a loving pet. If you provide your puppy with nice dog grooming, tell him some nice words, and teach him to act friendly to your friends and other family members; then, you will have a pet that everyone will love. On the other hand, if you isolate your pet and become the only one to give him food, you will train a real beast to protect your home. 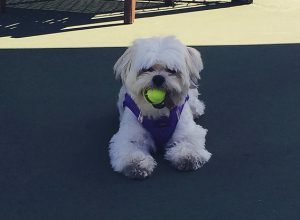 For more tips and tricks about puppy training techniques or to book a quality dog sitting service, feel free to call me at (858) 433-5063. Precious Pet Care is one of the largest pet care companies in San Diego, CA 92103 that you can trust completely!